Offer valid on Amazon Mobile App/Mobile site/website. Amazon Pantry offer- 15% instant discount with Axis Bank Cards at Amazon Pantry Store on (Amazon.in, mobile site and app) on a minimum transaction of Rs.1500. Maximum discount is Rs.500 per card per weekend. This offer is activated on Every Saturday and Sunday (“Weekend”) between April 6, 2019, to June 30, 2019. This Offer is valid on all Axis Bank Retail Credit and Debit Cards. So go to Amazon pantry store and Purchase items on best discount using Axis bank cards. 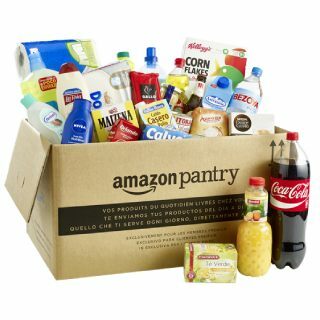 How to Avail Amazon Pantry Weekend Offer? Shop for groceries on Amazon pantry using axis bank card. Get 15% Discount on min. transaction of Rs 1500. Get Maximum discount of Rs 500 per card. Offer is active on weekends. Valitidy till 30th Jun 2019. Offer is valid on all axis bank retail debit card and credit card.